A harrowing and intense child abduction drama, Prisoners ratchets up the tension early and never lets up. A magnificent cast and an atmosphere of quiet yet unpredictable dread creates a superlative experience. In a suburban Pennsylvania community, Keller and Grace Dover (Hugh Jackman and Maria Bello) and their young daughter Anna head over to Thanksgiving dinner at the house of their friends Franklin and Nancy Birch (Terrence Howard and Viola Davis) and their young daughter Joy. Keller is a carpenter and a survivalist, a proudly self-sufficient man. Later in the evening Anna and Joy head back to the Dover's house to play, and go missing. Suspicion immediately surrounds an old-model RV earlier seen parked in the neighbourhood. Directed by Denis Villeneuve, with stunning Roger Deakins cinematography and a moody music score by Jóhann Jóhannsson, Prisoners is an expertly crafted piece of mature cinema. The story gets to its central drama quickly, with Anna and Joy disappearing inside the first 20 minutes, creating a challenge for Villeneuve to sustain a 153 minute film. Not only does he succeed, he excels beyond any expectations. Prisoners sets off in unpredictable directions that are at once deeply satisfying and insanely disturbing, as Keller Dover's devastation is exploited to sharply veer the film off the well-travelled path of abduction movies and into a morass of complex emotions and moral ambiguities. Much of the credit goes to Aaron Guzikowski's smart script, which studiously avoids every opportunity to take an easy out. Loki is far from perfect, his dialogue exchanges with Dover lacking in empathy and helping to inflame the grieving father. The character of Alex Jones remains stubbornly opaque, there are no easy revelations, and mental blockages padlocked by years of damage remain infuriatingly stubborn. Tormented parents behave like human beings, torn between incomprehensible grief and a lust for vengeance, all while surrendering to escapes offered by alcohol and pills. Prisoners is not for the faint of heart. There are scenes of blunt torture, badly deformed faces, decayed human and animal corpses, bloodied children's clothes, and, for an extra kick of ickiness, slithering snakes. Dank, dangerous basements and holes in the ground are explored, all with a matter of factness that strips away cheap horror tactics in favour of a more insidious sense of evil-lives-next-door, and maybe also behind the door after that one. This is a film that tackles the horror that lives within without being a horror film, and as a result is acutely disconcerting. Hugh Jackman and Jake Gyllenhaal take on the two central roles and create unforgettable characters. 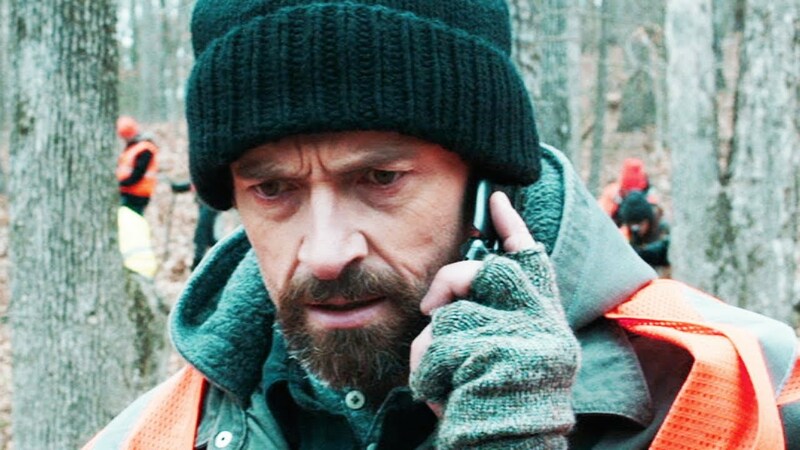 Jackman in particular excels as Keller Dover, humanizing a traumatized father and finding the justification for unjustifiable actions in the face of personal anguish. Gyllenhaal moves Loki away from stock heroism towards belief in process and old-fashioned investigative police work, but with the pressure mounting with every passing hour even his relatively dispassionate approach will be tested. 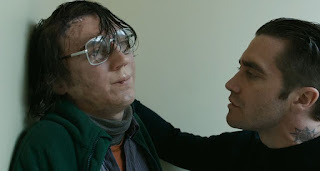 Paul Dano is quite phenomenal in his few scenes, creating a broken, exasperatingly non-functioning man-child who may or may not hold all, some, or no answers. Viola Davis, Maria Bello, Terrence Howard and Melissa Leo round out the impressive cast, and despite sharing screen time they all create in-depth individuals. Prisoners stares at the demons that live in the community and inside the soul, waiting to be unleashed to serve causes great and small, just and deranged, and causing immense societal suffering.